Shipping pallets and large containers require special handling equipment. Chain and roller conveyor must be designed appropriately to accommodate fork truck interface, heavy loads, and odd conveying surfaces. Often changes of direction are required which may drive the need for turntables or right angle transfers. Selecting the appropriate equipment will depend on the type of container to be conveyed, weight, speeds and throughput. Chain Driven Live Roller Conveyor (CDLR) and Drag Chain Conveyor are often used for pallet or container conveying. However, transfer cars or shuttle cars are sometimes a more cost effective choice. Regardless of the need for CDLR, Drag Chain Conveyor, turntables, right angle transfers, transfer cars, shuttle cars, or other heavy duty conveyor devices, operator safety must be addressed. 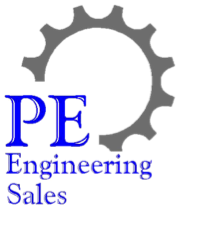 With our manufacturing and integration partners, PE Engineering Sales can help you determine the most appropriate engineered solution for your business needs. Contact us to discuss your next pallet conveyor or container handling application.